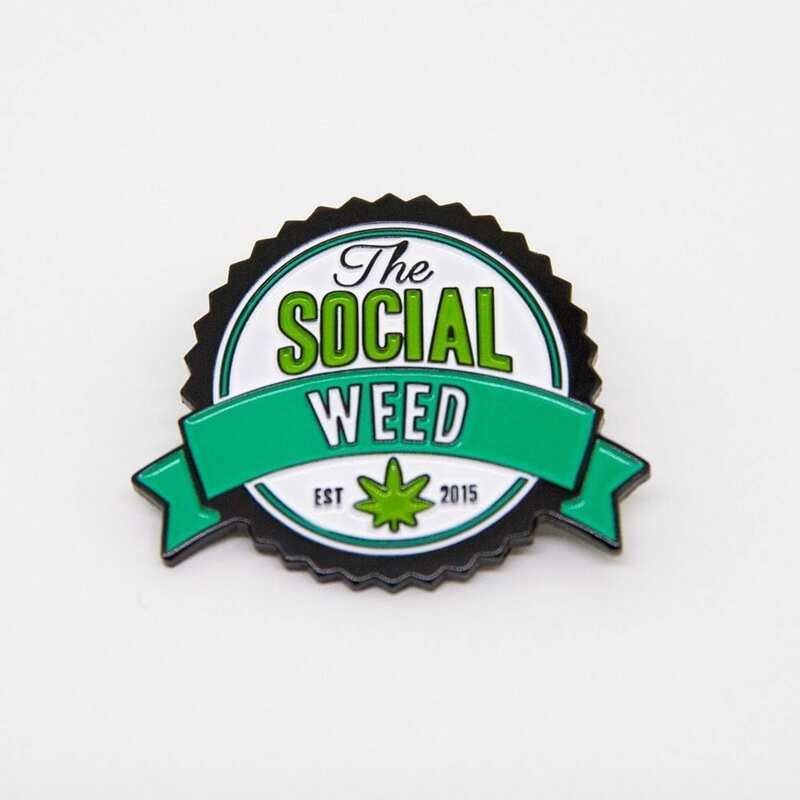 The Social Weed Lapel Pin. 1.5 x 1.25 Black Metal, Soft Enamel Lapel Pin. Comes with Butterfly Clutch Pin Back.